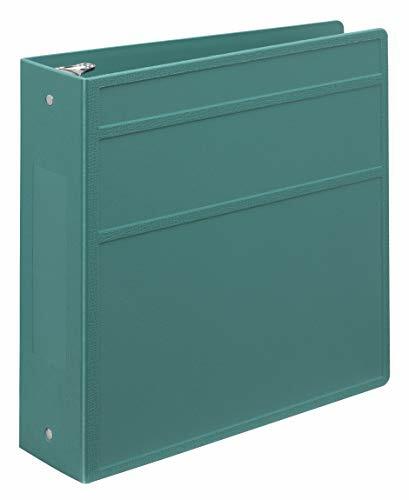 Carstens binders are constructed of durable co-polymer materials that stand up to heavy daily use. The rings are sturdy, keep their shape and stay aligned. The binder cover and spine are molded together and will not tear, even in the toughest conditions. Carstens binders are easy to clean, withstanding most office, home and medical grade cleaners. Manufactured in the USA by a certified woman-owned business. 3-ring binder with round 2-inch rings that hold up to 125-300 sheets of paper. Molded medical grade copolymer binder resists tearing or bending and is easy to clean. Rings open and close with ease and do not gap or misalign. If you have any questions about this product by Carstens, contact us by completing and submitting the form below. If you are looking for a specif part number, please include it with your message.